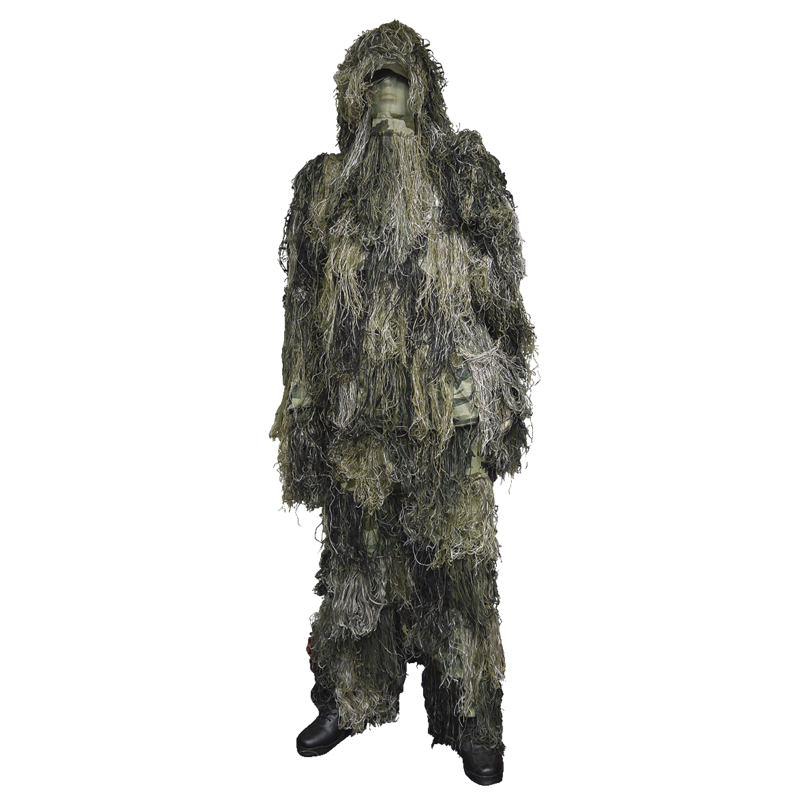 These 5ive Star Gear® Camouflage Ghillie Suits are a type of camouflage clothing designed to resemble the background in a woodlands green foliage environment. The suit gives the person wearing it an outline of a three-dimensional breakup, rather than a linear one. 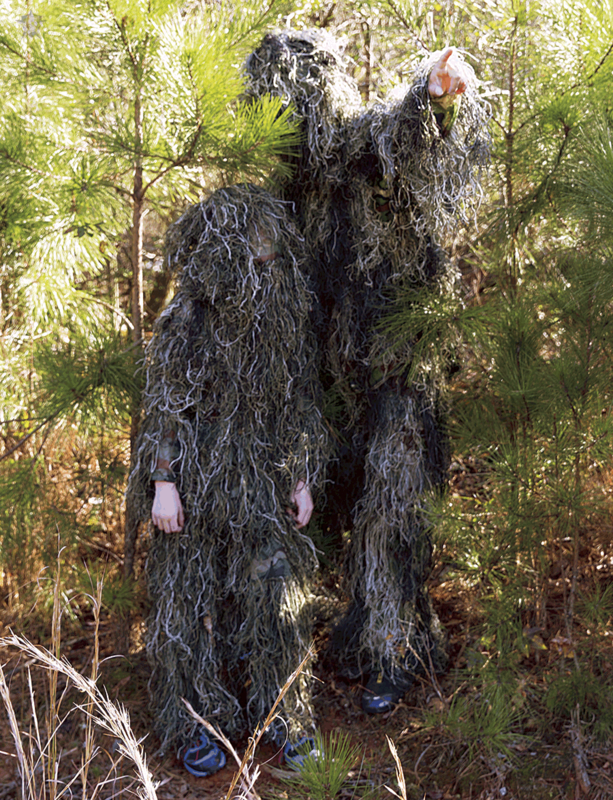 Typically, they are used by snipers, hunters, and nature photographers to blend into their surroundings and conceal themselves from enemies or targets.